Weight loss is a goal set by many in the world. 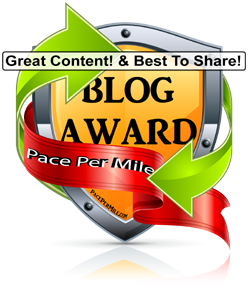 Weight loss is a broad term that encompasses multiple sub motivators to everyone. I hope to extrapolate and examine some of these motivators to shed light and give hope to those who might think weight loss is a good goal for them. Firstly, weight loss is a tough topic to discuss because many people attach shame their excess weight. Some folks are ashamed they let themselves lose control of their diet and some folks are simply disappointed that self reliance perhaps failed them. That being said, I can not look someone in the eye and tell them not to be ashamed of themselves. I can not tell someone not to feel or think a certain way. The solution to detaching shame of one’s self is by accepting and embracing the negative feeling, in this case shame, and using that shame as a motivator and barometer to advance them to the action phases of their fitness profile. As we grow and mature in life what motivates us and what we use to gauge our self worth grows as well. This is the same in our fitness life as well. The old cliche of what got you here, won’t get you there applies in the fitness arena as well. Now that we know it’s okay to feel shame, it becomes easier to talk about the problem. The problem being obesity. Obesity is a problem throughout the United States, and there are many factors that contribute to obesity. Ranging from emotional to social economic distress, obesity wears many hats to threaten our life’s with diabetes, heart disease, and other disorders such as sleep apnea. What do we do then to combat this villain that walks so freely amidst our family and friends? Similarly to the way we embrace the problem to know our enemy, we must accept that our health is our responsibility. We don’t have to walk this path alone, and it’s a good idea to find supportive people to share your hopes and inspirations with. I read many articles that say diets don’t work, and this is an unclear message. Diets do work. Fad diets don’t work. When I say diet from this moment on, know that I am referring to a solid meal plan. A lifestyle of eating what you want and enjoying your life while maintaining a healthy base in well balanced food groups. My diet is a plant-based whole food diet. 80% of my nutrients come from plants, 15% animals, and I have a bit of a sweet tooth for the remaining 5%. Those are my guidelines. No points, no calorie counting, and no pressure. I hold my clients responsible to their eating lifestyle by asking them what they eat all the time. If they respond in a shameful way, I always encourage them by saying it’s okay, but if you don’t want the remorse of eating cookies, then don’t eat cookies or put cookies in a category of acceptable “cheat” foods. You don’t have to be perfect to feel perfect. Weight loss is often time a long road to get results, and even more discouraging once the weight is down you have to maintain the loss through proper diet and exercise. It is hard in the beginning and please be kind to yourself. By stringing together days of continuous exercise and proper eating the results will come. The two most important meals of the day are breakfast and post-workout. These are the times when your body is most depleted and I have a method that I follow regularly. When you wake up or right after you workout you have 30 minutes to eat something. Hungry or not, eat something of good nutrition. After you eat in the 30 minute time period, you have 3 hour windows to eat throughout the day. If you miss these windows you become more likely to make poor food decisions. What that means to me is the idea that nobody ever ordered pizza because they were a little bit hungry. It’s no longer your choice if you miss a window, you are thinking with your stomach. This is never good. Let’s talk exercise. Exercise is necessary to lose weight, and this is where TriJake Fitness should come to mind. 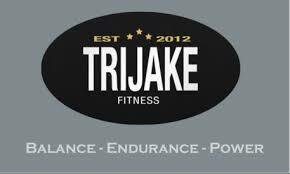 The TriJake Method is designed to fit any lifestyle and every fitness level. The method meets you where you are and progresses toward your goal by cycling through core stabilization exercises, endurance strength training and power performance training. Inspired by the National Academy of Sports Medicine and developed by athletes The TriJake Method will put you on a path to successfully lose weight, grow strength, and feel great. Don’t sell yourself short, you can do more than you think you can. Contact me for more help in understanding weight loss. Come out of the shadows and take action. Call or e-mail me through trijake.com.